This week’s Top Ten Tuesday is ten books that are on my autumn to-read list. It’s a bit heavy on recreational reading that is closely related to my major, but that’s because my major is awesome. Today’s Top Ten Tuesday is the top ten authors who I own the most books by. 27 books by Tamora Pierce — I love Tammy’s works. I still faithfully collect each new book that she writes, and I am planning to buy the one or two I’m missing when I’ve cash again. Her Tortall books especially were amazing to me, featuring half main characters of colour, fat characters, queer characters, and all of them very human and lovable. 22 books by Neil Gaiman — Though I disagree with plenty of his actions as a person, and some of the artistic choices he has made are problematic, I still rather enjoy his writing. This count includes the comics of his that I have. 18 books by Sir Terry Pratchett — The Light Fantastic was the first fantasy novel I read from the adult section at the library, and I’ve adored Sir Terry ever since. 16 books by Anne Rice — I collected as many of her books as I could when I was ten, and never got rid of the bulk of them, even though they’re a bit crap. 12 books by Sir Arthur Conan Doyle — I have 3 copies of the collected Sherlock Holmes, and then individual volumes of all the novels and the story collections. (I also have several books about ACD and Holmes, and several pastiches.) I’m taking an English class about Victorian detective lit and the Holmes stories. Suffice to say, I really like Sherlock Holmes. 10 books by Roger Zelazny — As with Anne Rice, I spent a year around age 10 hunting down used copies of the Chronicles of Amber, which was out of print at the time. Unlike Anne Rice, I’m still pretty fiercely devoted to this series, and have actually read and re-read all of the books. 10 books by Robert Jordan — I stopped reading the Wheel of Time at book 3, but kept collecting them so I could finish the series when it was complete. Still need the last few. 8 books by Diane Duane — I really enjoyed the first book of her Young Wizards series, So You Want to be a Wizard, and continued on as books came out. I’m a little behind–I’m missing one of the books, and I haven’t been reading the spin off series, but I still love these books. 8 books by Michelle West — I stumbled across Michelle West’s Sun Sword series when I was 14 or so, and I love it. It definitely fits the general high fantasy trope of having real world countries with the labels taken off, but the magic and demons and cultures are a lot of fun. I also have two of the House War books. This generally does not count the digital files I have, just physical books, or The Dresden Files would be up here because I have the first 13 books on my Kindle. So, yeah, these are a (small) selection of the books on my shelves, and generally include most of my favourite authors. Last Tuesday, I participated in the Top Ten Tuesday post that the Broke and the Bookish puts on. The theme was classics, and I spent a lot of time thinking about what classics I wanted to include. I ended up consulting several lists around the internet of classics and picking the ones I’d read more than once and really enjoyed. Tess of the d’Urbervilles by Thomas Hardy. I can’t quite describe why this one has stuck with me, but I read it years back for a course. It took a bit to get into, and there’s some controversial parts that Hardy wrote deliberately ambiguous, but once I was in it, I was hooked. I powered through this one (got ahead of the class and had to double back) and ended up really loving it. The Moonstone by Wilkie Collins. I’m a bit sad I hadn’t got to read this one before now—it’s so good, I feel like I’ve been missing out. It’s got great touches of humour, the characterisation is interesting and well thought out, and it’s an early entry in the detective lit genre that is not always mentioned as being the forerunner it was. Persuasion by Jane Austen. Yes, this was on my Top Ten list, but I think it bears mentioning again. This really is my favourite Austen book, and I think it mostly only gets read by Austen enthusiasts, folks who read Austen’s more obscure work. Everyone knows Pride and Prejudice and Sense and Sensibility, and many know Emma—if only because of the Gwyneth Paltrow film—but Persuasion is definitely less widely known or considered. Yet, it’s my favourite. The Great Divorce by CS Lewis. This is an apologetic, and is thus not for everyone. However, I enjoyed it quite a bit, and I feel that it asks some very interesting questions about humans and humanity. If you’re looking for a readable, enjoyable classic, I highly recommend one of these. Give them a try; I don’t think you’ll regret it. This week, I’m joining in on the Broke and Bookish’s Top Ten Tuesday, a chance for people who like books and lists to share on a theme. A Christmas Carol by Charles Dickens. I admit that this choice is at least partly due to loving the Muppet film adaptation so much, but the book is short, fun, funny, and heart-warming, and it’s a great one to come back to when I want to feel good about the world. Persuasion by Jane Austen – I really think this is a terribly under-appreciated book. Ask the average non-Austenite to name 1 or 2 of her books, and you will invariably get back the ones that have made been made into successful adaptations: Pride and Prejudice and Sense and Sensibility—which are both lovely, but I think that Persuasion outshines them for sheer enjoyability. It’s a bit more staid than many modern books, but I really think it’s the best of Austen’s works. Jane Eyre by Charlotte Bronte. This one is a bit slow at the start, but it’s another book that I think really shines. Like Persuasion it’s a novel of its time, but it also tells a story that I think modern audiences can continue to appreciate today. 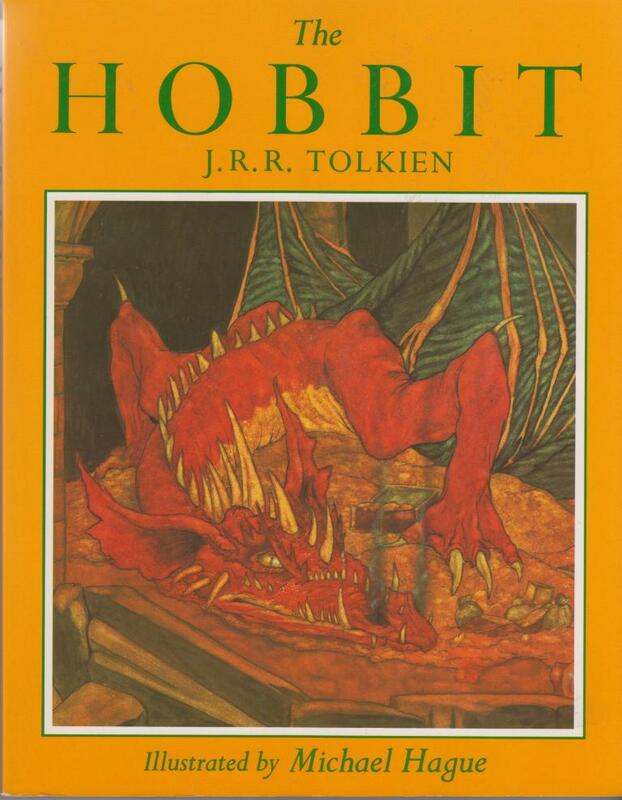 The Hobbit by JRR Tolkien. Most people consider the Lord of the Rings a classic—probably because it’s so darn hard to read—and discount The Hobbit, which is silly of them. Yes, it’s a children’s book, but it’s a classic nonetheless. Emma by Jane Austen. The most well known and widely read of Austen’s books are my least favourite (it’s terribly hipster of me, and I’m not even sorry). Emma Woodhouse is often considered, upon a first reading, to be an unpleasant sort, selfish and meddling and silly. But those are the reasons I like her. She’s more real to me for being just a bit unpleasant. Austen said in a letter “I am going to take a heroine whom no one but myself will much like”, but it is, of course, not at all true. Alice’s Adventures in Wonderland by Lewis Carroll. There’s nothing that quite compares to reading the book. There are several very faithful adaptations, and some…less faithful ones (and then the Disney one, which…yeah). I prefer the book over them all. If you enjoy the adaptations, give it a read. Macbeth by William Shakespeare. The Scottish Play! This one is twisted and odd, and has some very under-appreciated side characters. It’s associated with a ton of tropes and inside theatre jokes., and it’s just really good. The Secret Garden by Frances Hodgson Burnett. I dithered over whether this book or A Little Princess out to take this spot, but I ended up going with The Secret Garden because I’ve read it more often, the film adaptation was really good, and I just enjoy this one a fraction more. Not very scientific, but there you have it. Cyrano de Bergerac by Edmond Rostand. This is a play, but it’s still a great read. It’s a bit like Romeo and Juliet, but better, less silly, and considerably more funny. 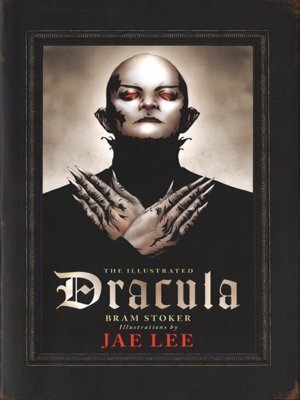 Dracula by Bram Stoker. I have an illustrated edition that’s rather lovely. This one drags at some parts, and it’s a very odd book, but I very much enjoyed it, and it’s very much worth reading as one of the foundations of modern vampire myths.